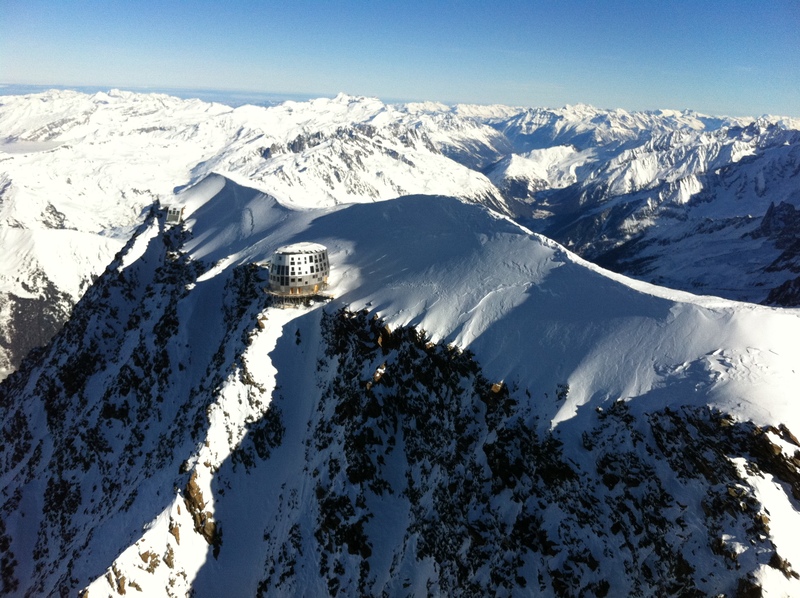 The new Gouter Hut gets the green light! The departmental commission for security met on 11th June 2013 and were unanimous in their decision to open the 7 million euro “hut” to the public. The mayor of St-Gervais is expected to sign the minesterial decree in the next few days, after which the Gouter will be able to welcome its first climbers. 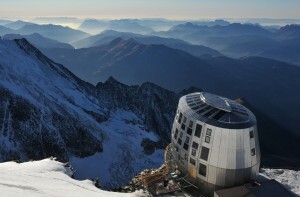 Located at 3,835 metres on the classic route to climb Mont-Blanc, this futuristic ovoid construction is an awesome sight. The the hut is designed to function with solar panels, biomass energy using innovating technologies. It fulfils the HQE environmental criteria and sets a benchmark for high mountain building technology. With a capacity of 120 beds, it will ultimately replace the existing refuge hut, which must be dismantled within a year of the new hut’s opening. An estimated 10,000 people overnight in the hut over the summer season, whilst they attempt to climb western Europe’s highest mountain. This is not without its risks and consequences and for the first time this summer, there will be a degree of monitoring by mountain police on both the Gouter (normal) and 3 Monts route to increase safety awareness and to ensure that climbers respect this protected natural site. Seasonal migration – where the grass is greener! As spring sets in, the seasonal migration of flocks and herds to higher pastures is very much a part of rural life, in parts of France. This year however, the bad weather has kept the animals patiently waiting on lower ground! 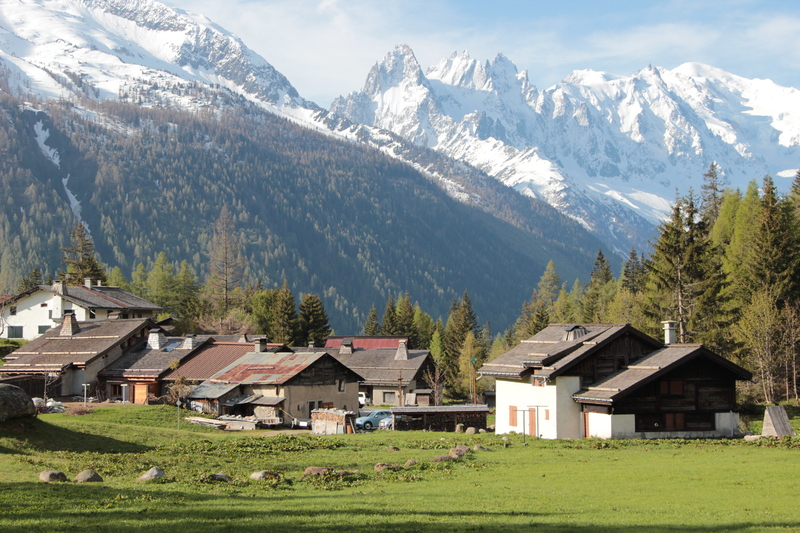 Argentière before setting off for Lognan! But this Saturday 15th June, the traditional ‘troupeaux’ of 600 sheep (Roussillon variety) and 600 goats (Roves), along with donkeys, horses and sheep dogs, will be arriving in the Chamonix Valley. 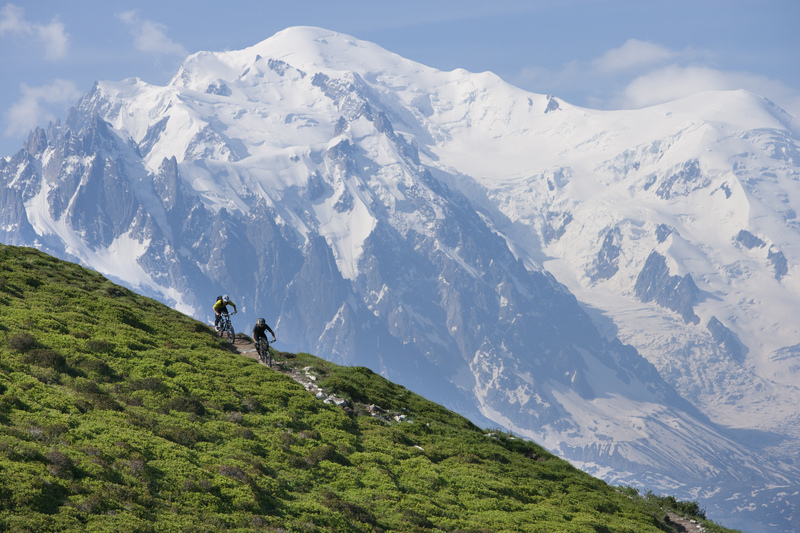 They will be accompanied by our favourite shepherd, Jean-Luc Pitra, as he prepares to spend his 8th consecutive summer at the foot of Mont-Blanc. So where do they come from and how to they travel? They come from Tarascon and the Alpilles in Provence. A little too far to migrate on foot, so if you see 2 three decker lorries passing through the valley, direction le Tour this Saturday, you’ll know they’ve arrived. 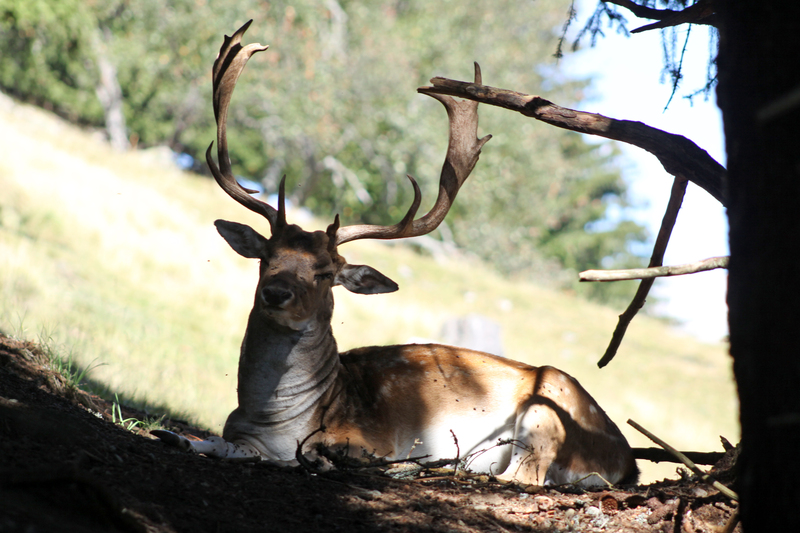 The animals will spend 4 months grazing the mountain pastures (2 months on the slopes of Le Tour –Charamillon and 2 months at Lognan-Le Pendant). A date for your diaries is the 6th July 2013 for the Foulées du Sel! An alpine celebration to which everybody is cordially invited, provided you don’t mind carrying a bit of salt uphill! 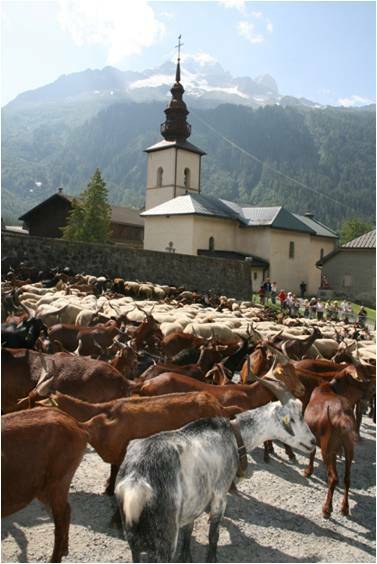 The idea is to carry sufficient salt up to the alpine pastures of the Pendant, to sustain the herd throughout the summer – several hundred kilos precisely, but you only have to carry between 1 and 3 kilos! A young shepherd at work! The flock’s guard dog enjoys some attention! 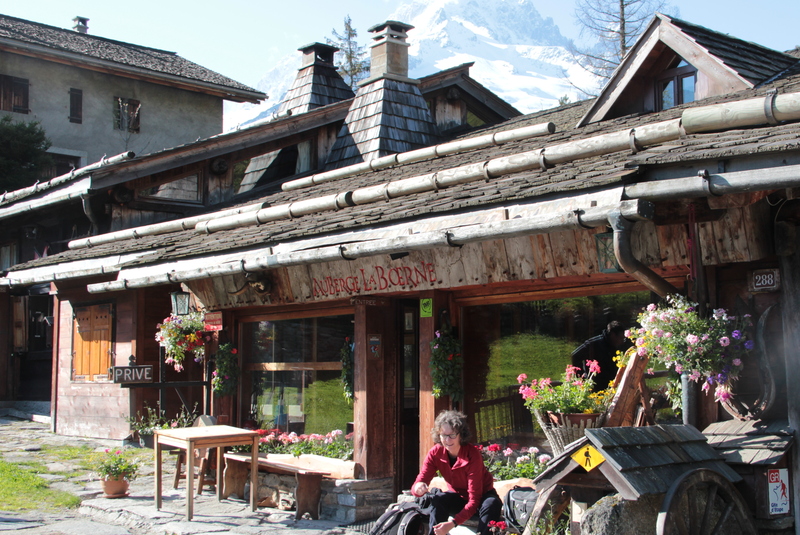 Meeting point 8am at Lognan cable car station in Argentière; bus transfer to le Lavancher, where you will set out on foot for the Pendant pastures (approx. 1h30 ). You will be greeted at la Pendant with refreshments and your will be relieved or your salt licks! 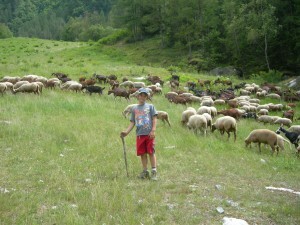 Then direction Logan (approx 45 mins walk) where you will meet the herd (the animals walk up the Pierre à Ric). Festivities begin around midday with the traditional aperitifs, local cheeses and dried meats; live music with the Tuaz Cousins! 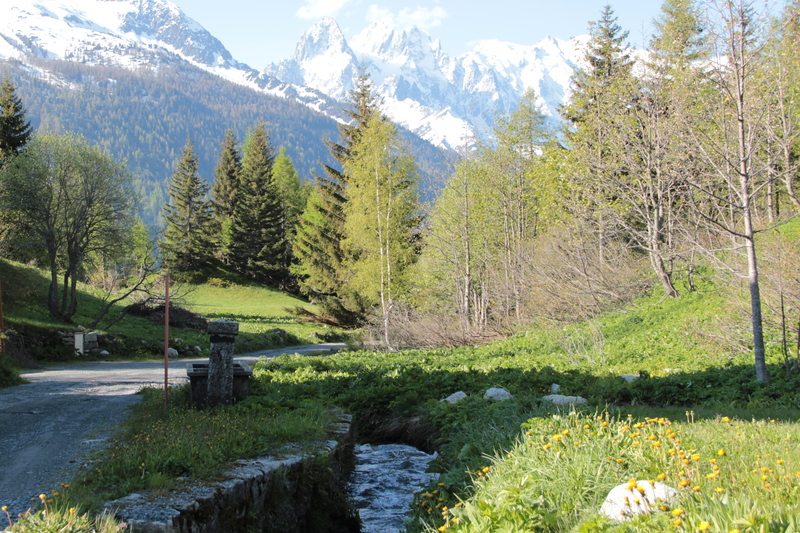 For those with reduced mobility or families with young children, it is possible to reach Logan via the Grands Montets cable car. 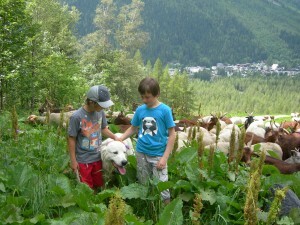 In the 1950’s, all farming activities had practically ceased in the Chamonix Valley. 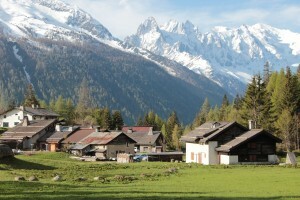 Mountain pastures and farm dwellings were abandoned in favour of tourist activities. 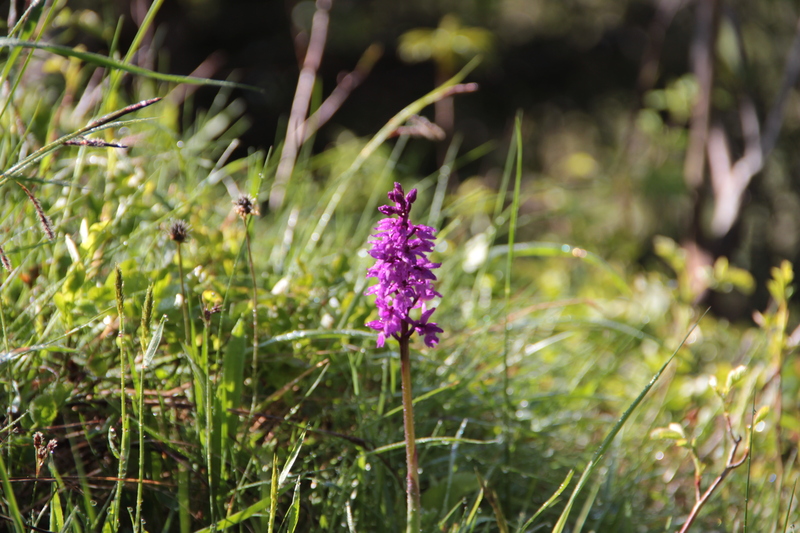 Thanks to the Alpine Society ‘SEA’ and the agro-pastoral association ‘AFP’, the mountain pastures and properties have progressively been restored: Blaitière 1993-94, Charamillon in 1994-95, la Pendant 2002-3 and Balme 2006. The presence of cattle, sheep and goats grazing the pastures helps to eliminate certain invasive trees and shrubs and as a result the natural biodiversity is able to redevelop. In this way, 150 hectares of pastureland have been restored over the past 8 years. Wandering what to do in June? 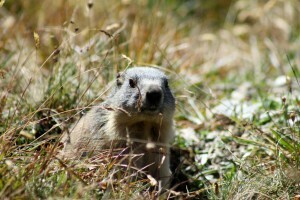 A couple of ideas for outings to discover the Alpine fauna and flora. Admire the views, enjoy a mountain terrace, whilst avoiding snowy trails! Suitable for all the family. Discover this unique location on the south facing side of the Chamonix Valley above the village of Coupeau (Les Houches). The park is located at 1’500 m altitude and offers a natural balcony where our four footed friends enjoy front seat views of the Mont-Blanc Massif. 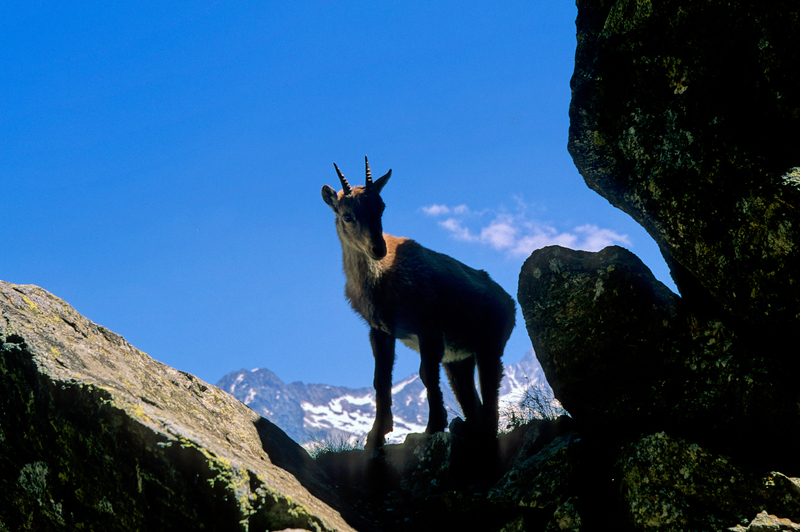 Wander through the park and you will meet the native ibex, chamois, deer, marmots, mountain goats as they roam the mountain side. You will also encounter a few exotic lamas who have a tendancy to spit at visitors who don’t respect their comfort zone! There are easy walks (accessible with push chairs although a child backpack is more practical) and a high trail for those who want to discover more of the park. Allow around 2 hours for the visit. The ‘Auberge du Balcon de Merlet’ serves refreshments and lunches and you too will be admirative of the panorama. Opening times in June: 10h to 18h except Mondays. For the well-being of the animals, dogs and picnics are not accepted. Flat shoes recommended. Situated at the Col des Montets, 3 km beyond Argentière the Aiguilles rouges chalet laboratory offers visitors a unique opportunity to delve into the passionate world of fauna and flora in the mountains. 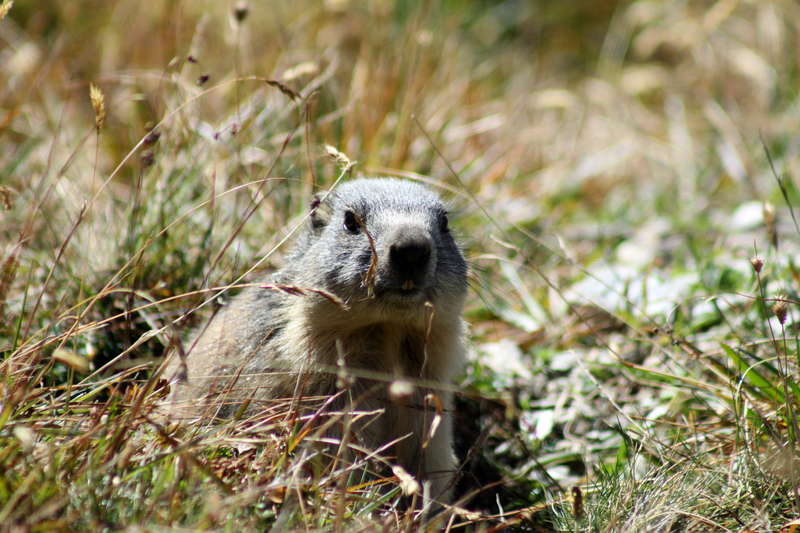 A botanical path around the reserve highlights alpine flowers and vegetation and offers a perfect opportunity for marmot spotting. If you’re lucky you will also see ibex or chamois who have come down to graze the lower pastures due to the late vegetation this year. There is a permanent exhibition within the chalet, fascinating for all ages, with microscopes, interactive screens, projections and conferences. The Reserve staff and post graduate students will be delighted to share their knowledge with you and on request, they can accompany you on the botanical path around the reserve. The chalet is open daily from 10h to 17h30. Light refreshments available. Entry free. Dogs are not admitted to the nature reserve. Access: Take the bus to Montroc (buses approximately every hour in June). From Montroc walk in the direction of the railway tunnel and take the path left over the tunnel, direction Trélechamps and the Col des Montets. Maps available in all the Valley tourist offices. Walking time: A very leisurely 1 hr one way. The Gite la Boerne in the hamlet of Tréléchamps offers an idyllic location for a lunch stop or afternoon tea on your way there or back. 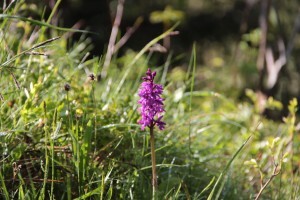 The gite has a children’s play area, a mountain stream, exceptional views and an abundance of flowers. Located on the TMB route, this delightful refuge also serves excellent value evening meals on reservation. From Tréléchamps return to Montroc (15 minutes leisurely walk). 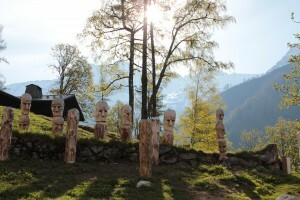 As you leave the village on your left, keep an eye out for the totem family, sternly presiding over the mountain side. Hewed out of fallen trees following last year’s storms, they stand like sentinels guarding the pass! Electric bikes now available for hire! 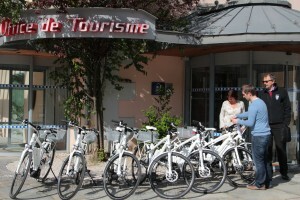 The tourist office takes reception of Chamonix’s new electric bikes. Be amongst the first to test these all terrain electric bikes! 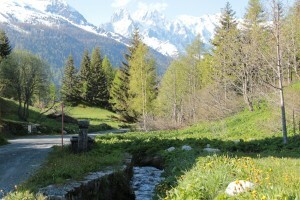 If you like bike riding, but Chamonix’s hills sometimes get the better of you, this is a perfect option. With a maximum autonomy of 150 km, and a basket which can carry 25 kg of luggage, you can plan a great day’s outing ! 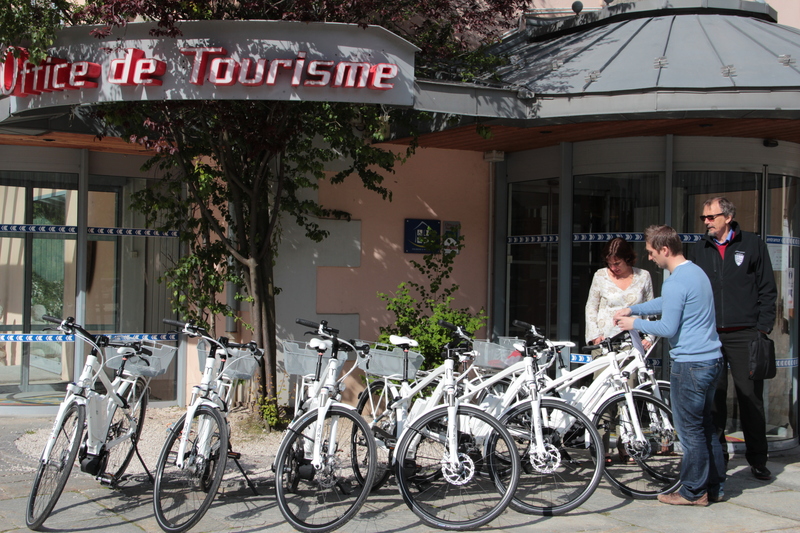 The bikes are available for hire from the different tourist offices in the Chamonix Valley (Chamonix, Les Houches, Vallorcine and Servoz) but they do have to be returned to the same pick up point, so you can’t pedal to Geneva and leave them! The cost per 24 hours hire is 10 euros, and can be renewed only once as numbers are limited. These electric bikes have 5 modes (from economy to sport), depending on how hard or how little you pedal. The minimum autonomy is 30 km if you are making full use of the battery and maximum is 150 km when in economy mode. Some suggested bike routes will be supplied at the time of bike hire. These bikes are designed for paths, easy trails and road riding. Available for hire for adults and juniors from 15 years of age (minors have to be accompanied by an adult). Enquiries at the tourist office of your choice. A refundable credit card deposit will be taken at the time of hire. 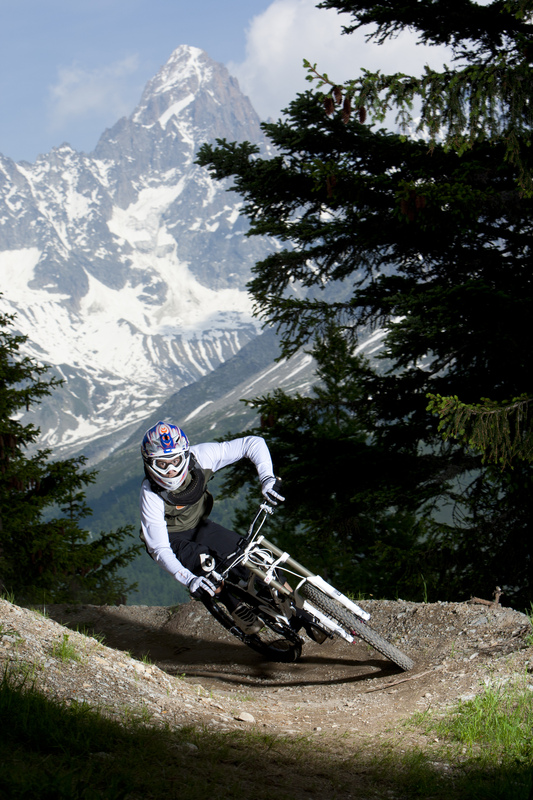 24H VTT – A new mountain biking race around the clock! The 24H VTT de Chamonix race will take place on a 12km circuit with a positive vertical gain of 300 metres. The loop will alternate between rolling and very technical portions, less than 5% will take place on asphalt. Sounds easy… but this is an endurance race and 24 hours is a long time in the saddle! The departure point is the Chamonix paragliding area, located beyond the Maison des Sports. The course climbs gradually through the Bois du Bouchet and the Désert Blanc, then follows a loop on the Norvège trail to the Sources de l’Aveyron, before returning to the Désert Blanc and back to the start of the circuit. There is a solo race (minimum age 23 years) and team races for 2, 4 and 6 persons, plus a tandem category. Minimum age for the team races is 19 years. The number of competitors is limited to 1000 persons, so if you’re interested, register a.s.a.p! MTB team race of 4 racers, who will relay for 3H on a 12km loop. Open from U15 to U18 categories. Limited to 100 racers.